Henry Otto Kulisch, Jr., 71, of Evergreen Park, Clinton, beloved husband of 39 and one half years to Barbara Clark Kulisch, passed away at home to be with the Lord on Wednesday, Feb. 10, 2010, after one year battle with prostate cancer. He was born in New Haven on March 19, 1938, son of the late Henry Otto and Katherine Mettler Kulisch. Henry was a long time resident of North Madison until 1970, when he moved to Clinton. He was a graduate of Hand High in Madison, class of 1956. Henry retired from UARCO, Inc. in Deep River, Conn. after 28 years, in 1998. Henry was a Nurseryman for 10 years at Grove Gardens in Clinton before his illness forced him to retire in November 2008. Henry worked at the Clinton Nurseries from 1961 to 1970. He was a volunteer firefighter with the North Madison Fire Department. Henry served in the U.S. Army from September 1961 to September 1963, with Company B, 2nd Battle Guard, 12th Infantry stationed in Fort Riley, Kans. His tour of duty would take him to Germany and after his Honorable Discharge, he was active in the Army Reserves, stationed in Branford, Conn. He was an avid bowler with the North Madison Voluntary Fire Department; UARCO, Inc., and the Monday night Tideland League. He was a member of the First Church of Christ, Congregational, in Clinton since 1978, where he sang in the choir for 32 years; was their custodian for over 25 years before he stepped down; Men's Prayer Group and a member of the Christian Care Givers. 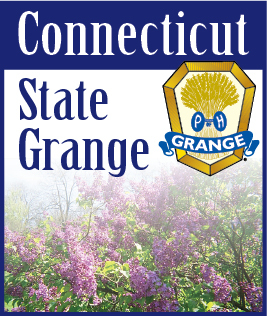 Henry was an avid Granger for over 57 years, leaving Madison Grange #120 to join Old Lyme Grange #162 and wore many State Grange Sashes. He sang with the Clinton Choral Club up to the 2008 season. He is survived by his loving wife, Barbara, his devoted sons, Karl Henry Kulisch and Kenneth James Kulisch of Clinton; his twin sister, Henrietta Jane Kulisch of Cromwell; an uncle, Joseph P. Mettler of Florida and his daughters; his cousins, Helena "Laney" Rahmann Handy and her husband, Roy, Theodore "Ted" Rahmann and his wife, Kathy, of North Madison, Donald Kulisch and his wife, Judy, of Clinton, and Carlene Kulisch of Branford. He was predeceased by his cousin, Dietrich F. Rahmann of Madison. There are no calling hours, a Memorial Service will be held at 2 p.m. on Sunday, Feb. 21, 2010, at the First Church of Christ, Congregational, 55 Church Road, Clinton. Private Burial with Military Honors will be held at 11 a.m. on Monday, Feb. 22, 2010, at the Duck River Cemetery, Old Lyme. Fulton-Theroux Funeral Home, 13 Beckwith Lane, Old Lyme is in charge of arrangements. In lieu of flowers, memorial donations may be made to the First Church of Christ, Congregational, 55 Church Road, Clinton, CT 06413, Organ Fund or to the Clinton Ambulance, 35 East Main Street, Clinton, CT 06413.